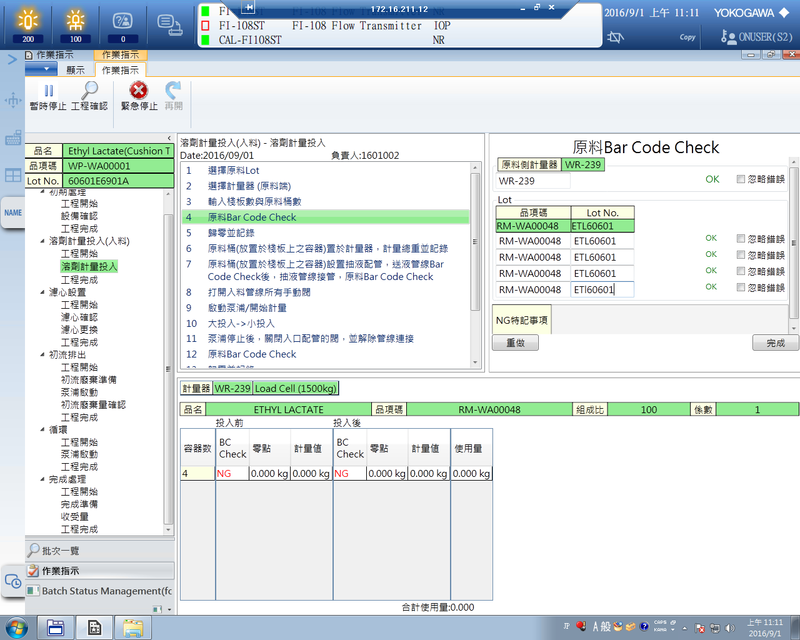 Company: TOK TAIWAN CO., LTD. The semiconductor industry is characterized by extremely rapid change, as the components in integrated circuits grow ever smaller on the nanometer scale and microprocessors steadily become more powerful. Photoresists are light-sensitive chemical materials that play a key role in the semiconductor fabrication process, and they must evolve in functionality and quality to meet the changing needs of state-of-the-art microprocess technology. Manufacturers are posing ever tougher requirements on their photoresist suppliers, demanding not only increased product quality and functionality but also a level of traceability that is comparable with that in pharmaceutical manufacturing processes. Established in 1940, TOKYO OHKA KOGYO CO., LTD. (TOK) is a global supplier of value-added photoresists and other fine chemicals as well as equipment used in the production of semiconductors and liquid crystal displays. In 1998 the company entered the Taiwan market, where its subsidiary TOK TAIWAN CO., LTD. has sold thinners and a variety of semiconductor-related ancillary chemicals to semiconductor manufacturers and supply chain partners. In November 2014, the company launched production of photoresists at its new Tongluo plant, which is equipped with leading-edge production equipment and is controlled using Yokogawa’s CENTUM VP integrated production control system. The plant also utilizes a Yokogawa manufacturing execution system (MES) that has helped to standardize plant operations and thereby maintain the stable production of high-quality photoresists. The extremely competitive semiconductor industry and the short lifecycle of microprocess technology means that not only chemical agent suppliers such as TOK but also the semiconductor manufacturers themselves are under severe pressure to keep innovating to survive. In order to ensure sustained growth, TOK decided to start the local production of photoresist materials for its semiconductor manufacturing customers in Taiwan. 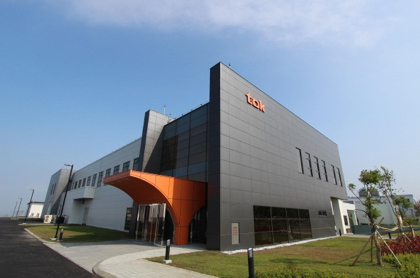 By locating its production facility near its customers, TOK is able to work with them more closely and gain insights into their changing requirements. This allows TOK to produce new products that match up closely with their needs. TOK’s other plants have relied on MES packages that were developed in house, but these have been difficult to maintain, and they have also lacked the traceability functions required by the company’s semiconductor manufacturing customers. For the new Tongluo facility, TOK turned to Yokogawa, its trusted process control system vendor, for a better solution. From the input of raw materials to completion of the final product, it requires approximately two weeks to produce photoresists. There are many steps in this production process and they must be completed without error to ensure consistent photoresist quality. Yokogawa worked with TOK to identify these steps one by one. This involved a vast amount of production know-how, and it was necessary for Yokogawa to understand and structure all key steps of the production process in its MES. Development of the system specifications required extensive discussions about the production process with TOK’s personnel. Based on these specifications, Yokogawa built an MES that fully supported the operator workflow. The MES converts customer orders into instructions for the production process. In coordination with the plant’s CENTUM VP production control system, the MES displays a detailed workflow on the operator PCs. Operators follow these instructions step by step while taking interlock with the system. 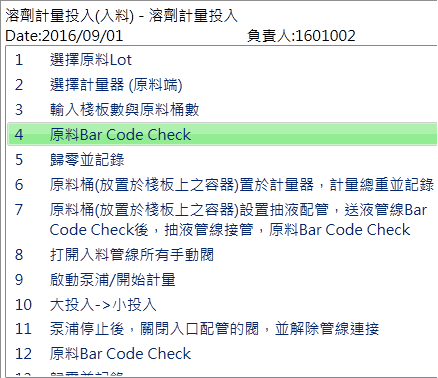 Information such as raw material lot number and amount and equipment and process parameters are all tracked for reporting functions that allow them to be reviewed at any point. Operators thus have all the information they need at each step to ensure consistent outcomes in the production process. In addition to supporting production operations, there is also the need to record and store production-related information on raw material usage, production processes, inspection results, and so on. In the off chance of a product anomaly, the ability to trace the raw material lot and processing records can help to identify other products that use the same raw materials or processes. Even in the absence of an anomaly, traceability makes it possible to locate changes that can impact the quality of the final product. Production process traceability is extremely important for quality control. Even when such information is available, the analysis of root causes can take a vast amount of time. To get around this problem, TOK was looking for a means to store and quickly and efficiently search vast amounts of data. As a solution, Yokogawa added the tracking and reporting functions to the MES. The tracking functions allow both product-originated trace-back analyses and raw material-originated trace-forward views, enabling detailed multi-directional tracking of the relations between final products, intermediary products, and raw materials. The reporting functions allow output of a detailed 4M (Man, Machine, Material, Method) production record, enabling an at-a-glance check of the entire process, from upstream to downstream. The amount of time required to generate a report was dramatically reduced, freeing up time for other quality improvement activities. These functions have made it possible to quickly and efficiently track down the production information for every bottle coming off the Tongluo production line. This adds great value and is one of the factors that is helping TOK to win the trust of its customers. The Tongluo plant was soon operating at full capacity despite the fact that it was a grassroots facility manned almost entirely by local staff. The MES contribution was significant in that it allowed the production technology developed in Japan to be presented in a standardized form and utilized to prevent human errors in multiproduct processes. For the future expansion of product lines, the master version of the MES can be easily updated to accommodate new production recipes, making the system highly scalable. 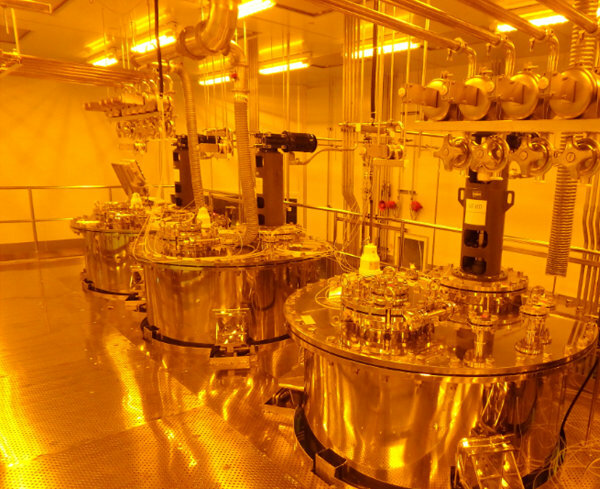 The integration of production planning and execution and the incorporation of traceability have helped this facility consistently produce high quality photoresist, making it the product of choice for the clean, high-precision fabrication of semiconductors. "We built the Tongluo plant with the aim of attaining the highest level of product quality. Introduction of the MES helped make this possible. We have benefited by being able to provide detailed traceability information for each product. Our customers highly value this capability. However, the pace of change is very fast in the semiconductor industry, and our customers are always looking for what is coming next. It’s a challenge to keep up. The desired characteristics for photoresist differ from customer to customer, so it is good that we are able to discuss this in depth with them and use that information to customize our products to suit each requirement. Our products are reputed to be the best, and we must maintain that reputation by delivering new products that meet ever tougher customer requirements and by expanding our production capabilities in a quick and responsive manner. We expect that Yokogawa will understand these needs and continue to provide us strong local support. We plan to begin producing photoresist-related chemicals at a new plant that is currently under construction at the Tongluo site. Our aim here is to have the best facilities and to achieve traceability for its products as well. By producing products that our competitors cannot match, we will gain a competitive advantage. This is the plan for the new plant. Our dream is to grow with our customers and to contribute to the further development of the Taiwanese semiconductor industry."